Circle skirts always seem to be in style. They’re fun. comfy, and they look great on nearly every body type! Did you know though, that you can make a full circle skirt even more full using horsehair trim? There are several different types of horsehair that you could work with. For this project, I kept it narrow, only about 1″, but I went with a stiffer option so it would be able to shape the cotton without crumpling. 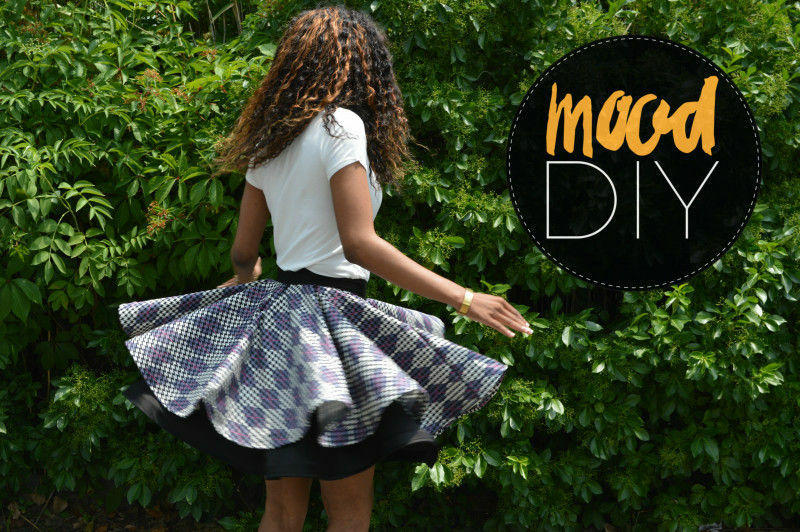 Now, if you’ve never sewn a circle skirt, it’s incredibly easy. Take your waist measurement, add two inches, then divide that number by 6.28 (or 2π). This gives you your waist radius. Want to skip the math? Let us do it for you with our Circle Skirt Calculator! Fold your fabric along the weft, and then again along the warp. You should end up with two folded edges that meet at one corner. 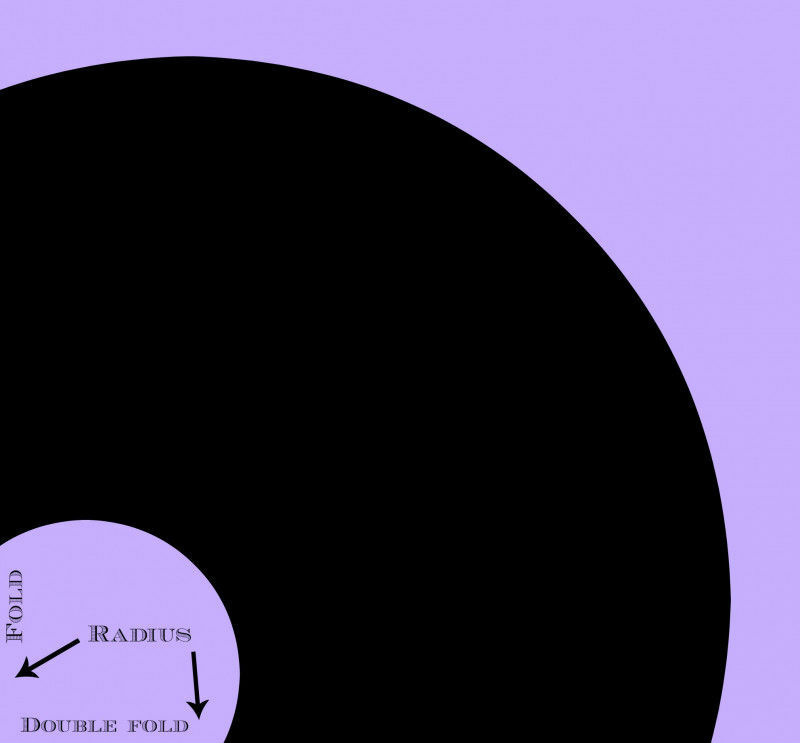 Say your radius is 4″. Measure 4″ from that corner a mark. Do this several times, marking until you have a quarter circle drawn around the corner. Repeat this process for the length of your skirt. 1. Once you have your circle pattern drawn out, cut two of these circles from your top layer fabric. 2. Cut a straight line through both circles from hem to waist. These will become your side seams. 3. Lay your two circles on top of each other, right sides together (like you see below) and stitch your two side seams together. One entire circle will become the front of your skirt, and one will become the back. Cut a single circle for your bottom skirt layer. 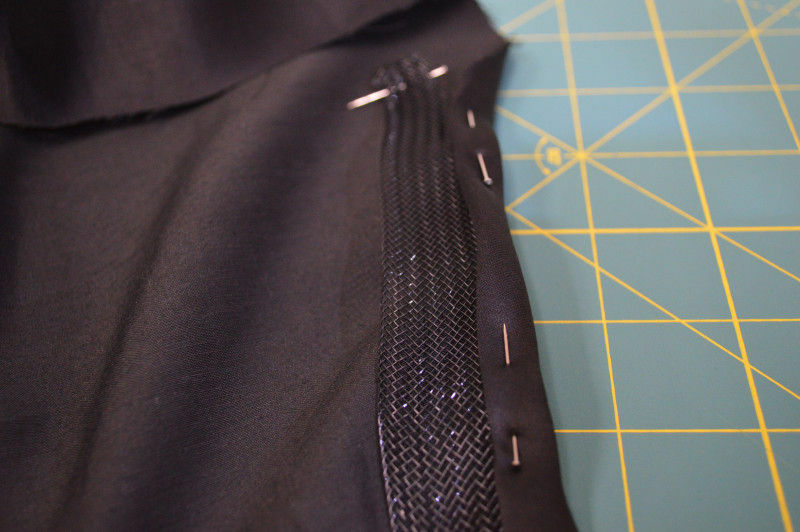 Baste your two skirt layers together at the waist, pleating your top layer where necessary. I gave my top layer 6 small pleats to account for the extra space created by sewing two circles together. 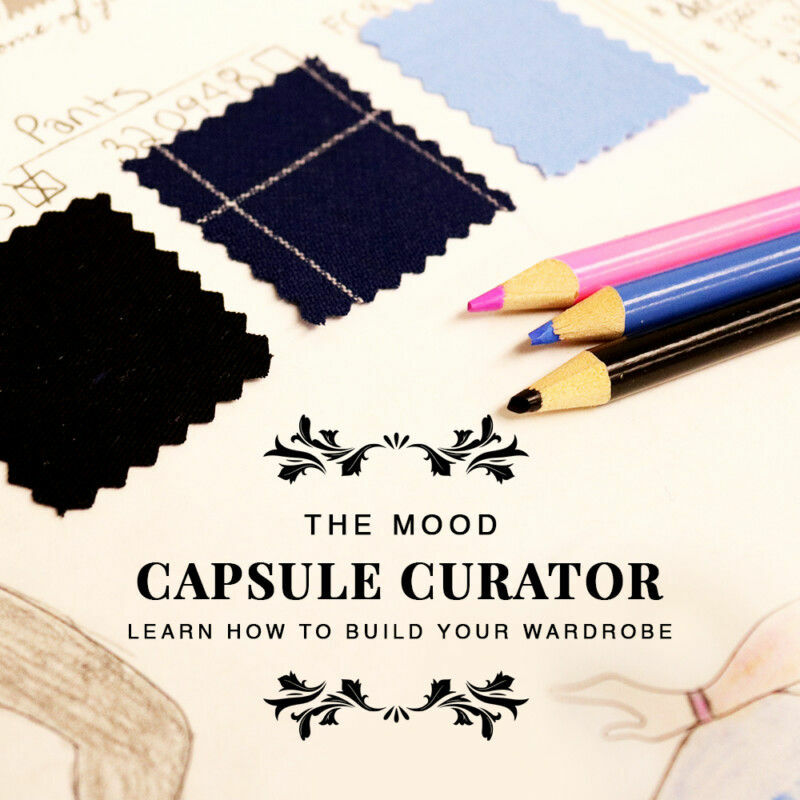 Once you’re happy with your pleat placement, you can attach your waistband. 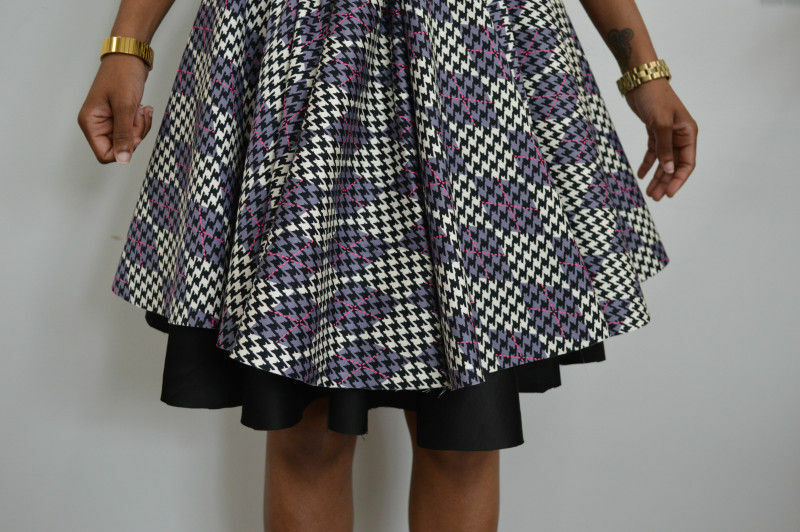 Above is what this skirt would look like without the horsehair added into the hem. It’s cute and full, for sure, but it’s certainly not as bouncy and voluminous. Here’s how to fix that! Pin your horsehair directly into your rolled hem. It’s easy to work with, bendy, and you can sew right over it with a normal presser foot. It’s that simple! The bottom layer took about 4 yards, and the top look a little over 7. Keep in mind: if your waist is wider, or if your skirt if longer, your hem will take a bit more. Once everything else was done, all I had to do was add in a zipper and it was good to go! Creating volume with horsehair is so incredibly quick and easy, and the change is huge. This technique can easily be applied to tutus and petticoats, or you could add even more circles together for a super full sailor scout skirt for your next Halloween costume! How are you going to use horsehair next? Tell us below! I am making a lined circle skirt. Since there will be no hem, where would I place the horsehair braid? Directly into the bottom seam? 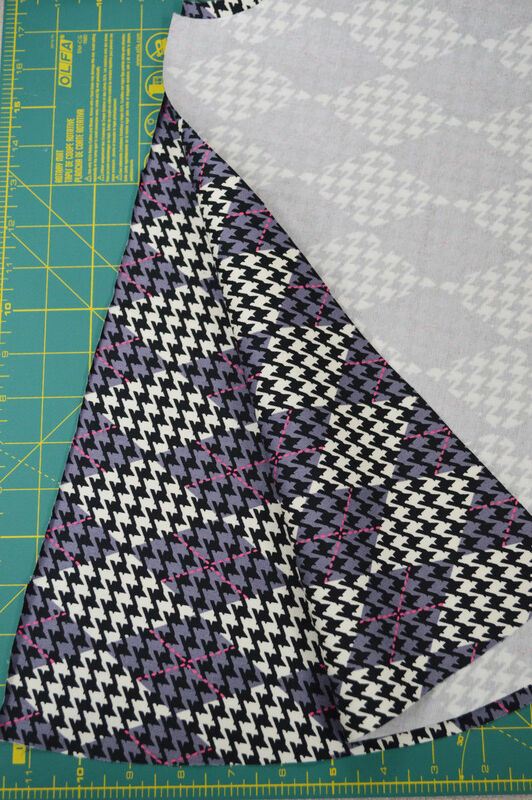 Sewn onto the lining against the seam or a bit above it? Thanks. Hi, how do you recommend washing a skirt with horsehair? Is it ok in the washer, or should I dry-clean it? Good morning! I would probably dry-clean the garment, but if you’ve used a washable fabric, you’d be okay with a delicate cold wash and line drying. I made a sweet Ponte circle skirt a few weeks ago, and only just now stumbled on to your post! I hand-finished the entire hem at 5/8”, and am loathe to unpick it all to insert horsehair braid. Do you think I can thread some braid through the hem as-is? I made a beautiful “Belle” costume for a four year old. It was dropier than she would like even with the three tired petty coat I made for it. Could I add hourse hair to the surged seams of each tier of the petty coat thus making the dress percky and full? I was thinking to use the narrow and stitch it right to the serging. Thank you! Great Article! Does this need stiff or soft horsehair? Or would that be a preference as to the amount of volume? It’s dependent on how bouncy you’d like it, but I went with a stiff horsehair for this skirt. Hi if I want the skirt to be super bouncy and fluffy what would i do? I really like the tutu sort of look is that possible with this pattern?